When the time comes to say goodbye to your beloved family member, we will be here to help give you and your pet the extra love and attention they deserve during this difficult time. Dr. Rember is a member of the of International Association for Animal Hospice and Palliative Care, whose mission is dedicated to promoting knowledge of and developing guidelines for comfort-oriented care to companion animals as they approach the end of life. Dr. Rember will work with you to provide the best course of action for managing your pet’s pain, and making their quality of life as comfortable as possible. 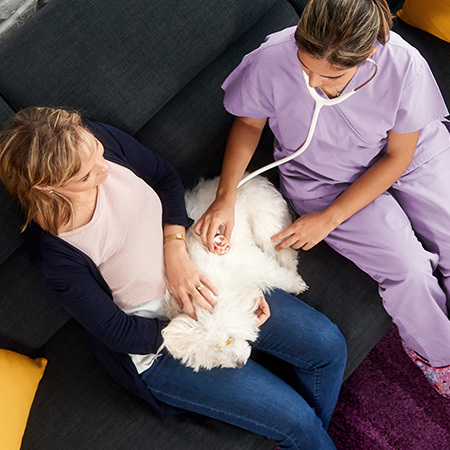 In-clinic and home visits are available for your pet, depending on their preference. Please give us a call at the hospital if you would like to discuss end-of-life options for your pet.